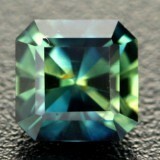 Briolettes are a beautiful and elegant type of gemstone cut. The word Briolette simply refers to the pear-structured or oval stones that are cut in extended triangular facets, which cover its whole surface. Celebrities have made the Briolette popular by wearing large drop earrings of Emeralds, Rubies and Sapphires all cut in this design. 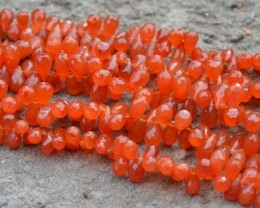 The Briolette cut is associated with the group of rose cuts, which are similar to a bead cut. Most briolettes have triangular and hexagonal facets. 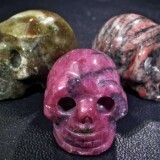 This creates a surface with lots of sparkle and lots of color from the stone. The briolette cut is one of the most exquisite ways of cutting and it leaves the wearer of the stone with a full view of the gem. It allows the light to capture the different sides of the gem and lets it radiate colour and vibrancy everywhere it is carried. 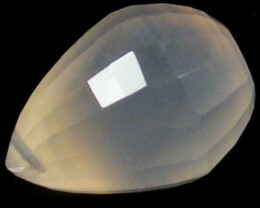 The briolette shape varies from round, extended and flattened shapes. The briolette cut is characterised by the teardrop shape it takes on after it has been formed. It is one of the oldest cuts in the world, dating back to at least 800 years ago and is usually used to cut white diamonds. With the briolette cut, the stone or gem can be cut into a wide variety of shapes and sizes – from slender and long teardrops to chunky and small teardrops. Jewellers have found innovative ways to modernise the briolette cut without taking away the old-fashioned classy look that it lends the gem. It leaves a smooth surface and makes the gem shine. In history, the briolette cut was reserved only for royalty and those of noble standing. Napoleon himself presented the Empress Marie Louise with a diamond necklace containing 10 briolette-shaped gems. However, the briolette took a decline in popularity in the 17th century with the emergence of new technology. It was revived again in the art-deco spheres, but it still remained an obscured aspect of gem cutting. Part of the reason why it is not as popular as other cuts is because it tends to be a bit more expensive, but this is understandable when the gem reflects light around the gem in all different angles. There is no price valuable enough for this spectacular light show. When cutting a gem in the briolette shape, there are generally 3 different types of ways to do so, but the most reliable way is the pin-cap method. 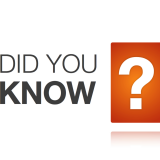 This method ensures that the gem does not break or brittle during the moulding process, and it helps the gem cutter to ensure that the hole can be drilled in very carefully. 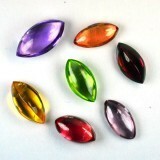 Most gem cutters prefer to cut briolette this way and it works well on the smaller and medium-sized gems. 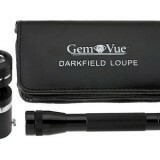 After the gem has been cut, the stone goes through a number of strength tests to ensure that it is perfect for wearing. Most briolette cut gems are sold loose with a hole in the top and on the bottom so that it can easily be woven through a wire. This makes it perfect for designers to create beautiful necklaces, bracelets and earrings, or to weave it onto clothing pieces, scarves, handbags, or purses. 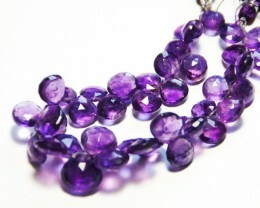 To create a Briolette it is important to use a gemstone that is strong and that will not scratch or crack. This is because most of the time a Briolette will be exposed to the environment since it will not be set into a jewelry setting. 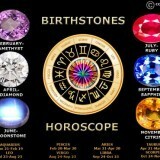 This is a perfect example of a Briolette bracelet where each and every stone has no other protection around it. 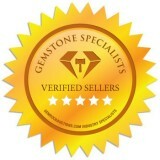 If the type of stone used is cracked or soft such as Apatite, it will very quickly become scratched and unwearable. 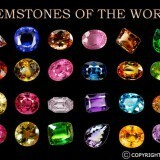 Most of the time you will see Briolettes made out of Quartz (Amethyst, Citrine), Topaz, Ruby and Sapphire. These are all very strong gems that will remain bright and shinny for years. 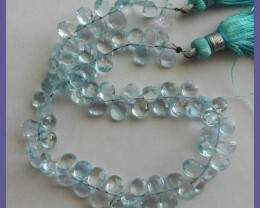 Briolette Beads with rich patina, clearness, and a wide range colors have the most use in producing jewelry. 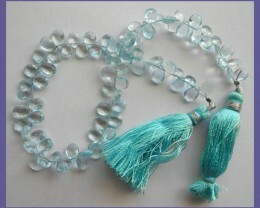 Briolette Beads come in a diversity of sizes, forms and quantities. Most of these cuts reflect the significant and conventional briolette. You will notice that the Briolette is generally systematically contemporary as well as, unusual. Also, their beautiful collections are extensively recognized by most clients for its appealing beauty and charm. This Briolette is delicately cut into assorted, luminous pieces to make an elite jewelry including fascinating anklets, necklaces, bracelets, and many more. Using a Briolette to create jewelry is very easy. Almost all of the stones you will find have already been pre drilled so all you need is a post and some strong adhesive. If you want to make earrings, simply buy some earrings findings that will work with a Briolette and glue them into the stone. What is Special about the Asscher Cut?